EAGA physicians are all board certified Gastroenterologists who have served the East Atlanta Area for over 30 years, and have over 70 years of combined experience in Digestive Diseases. 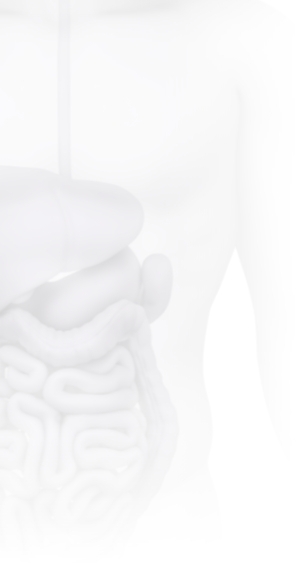 Areas of expertise include Colorectal Cancer Screening and Prevention, Gastro Esophageal Reflux Disease (GERD), Esophageal and Swallowing Disorders, Inflammatory Bowel Disease, Pancreatic and Biliary Disorders, Liver Disease, Irritable Bowel Syndrome, and Chronic Constipation. Received his undergraduate degree from the Georgia Institute of Technology and his medical degree at Medical College of Georgia. He completed his residency in Internal Medicine at Tulane University and fellowship in Gastroenterology at the University of Alabama at Birmingham. Dr. Levin has been in practice since 1981 and is the founding partner at East Atlanta Gastroenterology Associates. Received his undergraduate degree from Dartmouth University and his medical degree from the University of Illinois. He completed his residency in Internal Medicine at the University of California San Francisco and fellowship in Gastroenterology at the University of Arizona. Dr. McIntosh has been in practice since 1998 and joined East Atlanta Gastroenterology Associates in 2002.
and her medical degree from the University of Miami. She completed her residency in Internal Medicine at the University of South Carolina and fellowship in Gastroenterology at the University of South Florida. Dr. Weiss-Schorr has been in practice since 1996 and joined East Atlanta Gastroenterology Associates in 1996. Received his undergraduate degree from the University of Georgia and his medical degree at the Lake Erie College of Osteopathic Medicine. He completed his residency in Internal Medicine at the University of South Florida and fellowship in Gastroenterology at the University of South Florida. Dr. Socoloff has been in practice since 2008 and joined East Atlanta Gastroenterology Associates in 2008. Board Certified Gastroenterologist, received his undergraduate degree from the University of Georgia and his medical degree from Meharry Medical College in Nashville, Tennessee. He completed his residency in Internal Medicine and a fellowship in Gastroenterology at the University of Mississippi Medical Center, followed by a gastroenterology motility fellowship at Washington University in St. Louis, Missouri. Dr. Davis joined East Atlanta Gastroenterology in October 2017.